Easy! Localhost means the computer itself! It’s always translated to loopback IP address 127.0.0.1. If you don’t like to remember 127.0.0.1, you can just remember this localhost. 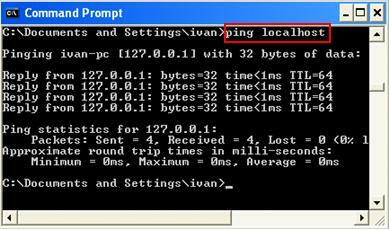 If you try to ping localhost, you will see the reply from 127.0.0.1 if your network card works well. Same as 127.0.0.1, this localhost is commonly used as troubleshooting tool to test operation of network card or network program access on computer itself. Kindly proceed to check out this 127.0.0.1 article to learn more.